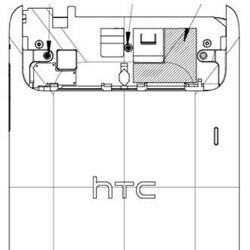 A T-Mobile HTC Flyer? You might have thought that the devices availability will be exclusive to Sprint, but judging from the bands of an HTC Flyer, which just recently landed over at the Federal Communications Committee, that's exactly what we could expect. The 7-inch tablet carries a different model number, PG41120, as it features GSM frequencies with T-Mobile's 850 and 1900 bands along with WCDMA IV. Unfortunately, the said model bore no reference to 4G support, so in all likelihood, it won't be able to make use of “America's largest 4G network.” In all other aspects, the HTC Flyer should mimic its Wi-Fi-only version which recently made a debut in Best Buy stores across the country. That means a 1.5GHz single-core Qualcomm chip running along 1GB of RAM, both responsible for the Android 2.3 experience spiced up with HTC Sense for tablets and running on a 1024 x 600 7-inch screen. The T-Mobile Flyer is expected to come with 32 gigs of internal storage, a 5-megapixel snapper on the back and a 1.3MP camera up front. Unfortunately, a release date and price tag are not yet revealed, but we'd expect the tablet to set you back some $400 on a two-year contract, as that's what Sprint charges. Hopefully, the tablet will also come bundled with the capacitive Magic Pen stylus contributing for a truly unique experience, but while we wait to find out about this, feel free to share whether you feel tempted to get the tablet!